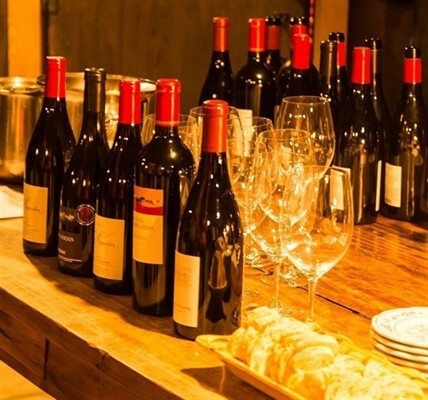 Raise a glass to a great vacation when you visit the Wine Cellar at Trapp Family Lodge in Stowe, Vermont. Our Wine Cellar is filled with varietals from all around the world, including Austria, Germany, and the U.S. Here, you can try all sorts of wines from our exclusive collection, including sweet, dry, robust, and fruity wines. 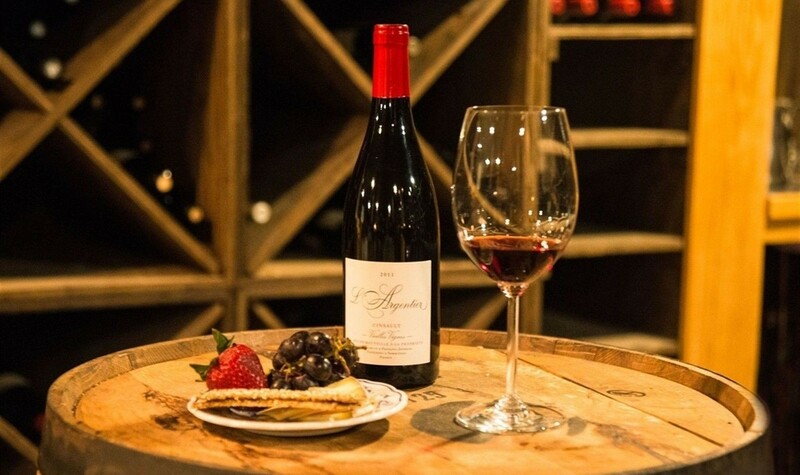 Join us for a weekly wine tasting to try our best flavors. You’ll be served a variety of wines, which our sommelier will describe in detail, paired with some delicious cheeses and bread. The Wine Cellar is also available for private dinner parties. This intimate environment will bring your group closer together, all while enjoying great wine and food! This, the finest white grape in the world, makes America’s most sophisticated white wines, as well as France’s great white Burgundies. Rich, full-bodied, almost buttery, this grape has hints of fruit with a dry, lingering finish. Very dry, fresh, light bodied, and elegant. The predominant grape of France’s white Bordeaux, the Pouilly Fumé of the Loire, and the American Sauvignon Blancs and Fumé Blancs. A simple, medium-bodied, easy-drinking white wine with a hint of sweetness. The classic grape of Germany’s and Austria’s finest wines. Very full-bodied, dark gold in color, aromatic, and semi-sweet, with a smooth, long-lasting finish. Austria’s Rieslings are generally drier than the German version. Italians call it Pinot Grigio, Alsacians used to refer to it as Tokay d'Alsace, and Germans label it Rulander or Grauer Burgunder. Most American plantings are in Oregon's Willamette Valley, where it makes a wine of substantial body and richness with fruit quality reminiscent of fresh melons and winesap apples. The most widely planted grape in Austria, it shows distinct white pepper, tobacco, lentil and citrus flavors and aromas, along with high acidity, making it an excellent partner for food. The King of all red wine grapes, comprises between 75% and 100% of all American varietals so named, as well as all the great red Bordeaux of France. Dry, big, full-flavored, heavy reds. The sole component of the great red Burgundies from France and the American Pinot Noirs. Dry, full-bodied, and very complex with a variety of flavors. Not quite as big in style as the Cabernet-based reds. Traditionally is used as a blending grape to soften Cabernet. It is the primary grape in St. Emilion and Pomerol, and now in California. It produces wines which are very soft and fruity. The only grape variety unique to California. Dry, full-bodied, and rich in flavor, with hints of spices, herbs, black pepper, and berries. This is Austria’s second most widely planted red grape, producing a sweet, earthy character along with high acidity, with raspberry aromas. Austria’s most widely planted red grape produces an easy-drinking wine, featuring cherry fruit and soft tannins. The great red grape of the Rhone. Planted outside France, it is known as the Shiraz. Huge and complex, rich, spicy, with raspberry and blackberry fruit. Click to view our wine list! Prices may vary based on year and supply. Please Note: If you are purchasing a bottle of wine to be delivered to a guest room, there will be an 11% tax fee and 20% gratuity.